The plot of the movie is pretty easily surmised from a glance at the trailers, but I'll reiterate it briefly: a portal has formed in a crevasse somewhere beneath the Pacific Ocean, and giant creatures from another dimension (referred to as Kaiju) begin coming out one at a time to wreak havoc on some of the major cities of the world. 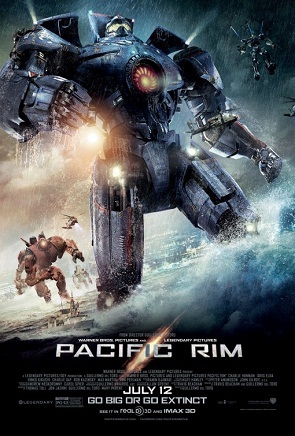 In order to fight these enormous creatures, humanity begins creating giant mechs, known as Jaegers. 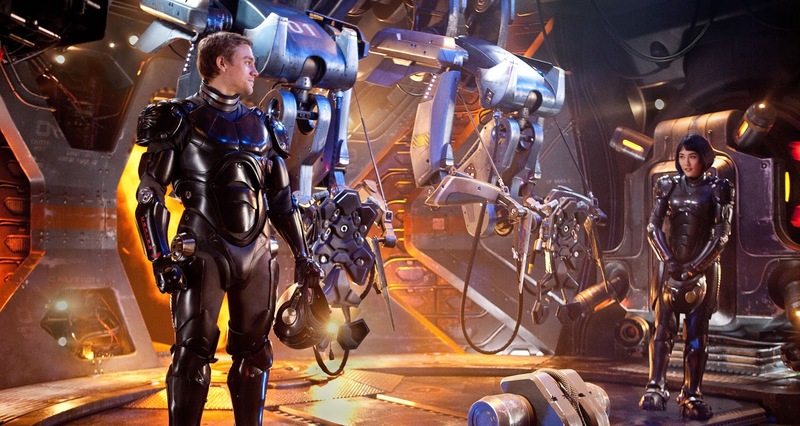 The Jaegers are so large and complex that they need to be piloted by two humans simultaneously through a neural link, a process called "drifting" in the film. While the Jaegers and their pilots are initially heroes, over time the Kaiju appearing become more powerful and more frequent. Eventually, humanity has to find a way to stop the Kaiju before it is ultimately destroyed. 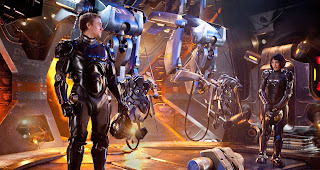 The movie follows a number of characters who are part of the Jaeger program, and manages to make each character stand out. While a good number of the characters are more caricatures than actual characters, most of them have some quirk that makes them likeable, or at least interesting. The two scientists (played by Charlie Day and Burn Gorman) really stood out with their wacky, over the top performances, and a few other characters, like Idris Elba's Stacker Pentecost, Rinko Kikuchi's Mako Mori, and Max Martini's Herc Hansen, helped to keep me invested in the film's storyline. Charlie Hunnam's role as the main character Raleigh Becket was serviceable, although not inspiring. 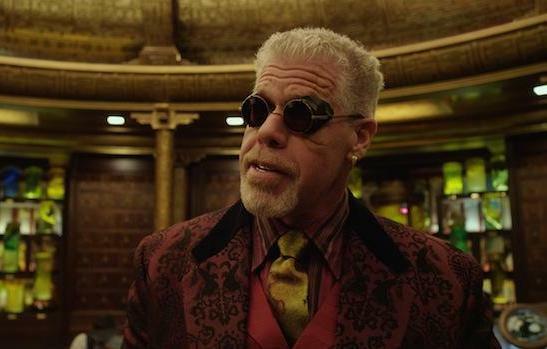 Of course, no other character in the film can touch the excellent cameo by Ron Perlman as Hannibal Chau. He's quite humorous and awesome, as always.  If I have any complaints, I will say that there are a few pacing issues with the film. While the action heats up pretty quickly at the beginning, it backs off a bit about 15-20 minutes in, with a fairly decent period of time where we see neither Kaiju nor Jaeger throw any punches. Yes, that's a part of the film reserved for something called a "plot", but while it was still entertaining, I was itching to watch a Jaeger destroy a Kaiju. Some of my fellow viewers complained about some of the humor and cheesy lines, but I truly feel these were added in to pay homage to the classic kaiju and Toho films, especially those that Westerners watched dubbed on television. I truly feel that nearly everything done with this film was done intentionally to create a particular experience. Heck, del Toro has even stated that when you're watching the fights, the film is clear to show you that all the buildings and vehicles are empty so you can focus on enjoying the destruction rather than feeling bad about it. 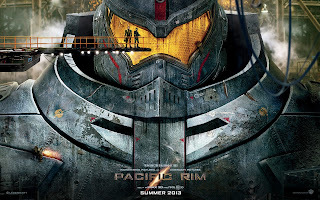 Pacific Rim is truly a joy to watch, both because it's fun and because it's a gorgeous looking film. The Jaegers are really well designed. Each of the film's four Jaegers are brilliantly designed, and visually fulfill a different purpose. Gipsy Danger, Striker Eureka, Crimson Typhoon, and Chemo Alpha are all easily distinguishable and have their own personalities (although Crimson Typhoon needed a lot more screen time!) I wish the Kaiju were all as well designed as the Jaegers, because they tended to feel a bit generic. Not bad, but they didn't stand out the way I imagined they would. 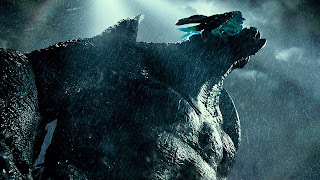 Del Toro has helped to bring some of the most imaginative creatures in recent film history to the screen in Blade II, Hellboy, and of course Pan's Labyrinth, so I had some very high expectations for the Kaiju. Still, they rock in the fights, and that's the important thing. While the action is largely set during storms and at sea, it all manages to be well shot and comprehensible. You're not going to get lost looking at the screen, and the ocean effects are incredible. Can I reiterate that this movie is fun, plain and simple? While it has some melodramatic moments and some great action scenes, it doesn't strive to bring you to tears, make you feel the hopelessness of the human condition, or hammer home any political or social point; it's about the pure joy you experience watching giant robots and giant creatures battle each other. I squealed with delight throughout this movie whenever something cool would happen. When the Jaeger Gipsy Danger picked up a cargo ship and proceeded to beat a Kaiju with it like a baseball bat, I squealed like a teenage girl watching Justin Bieber and Taylor Swift do the Dougie (that's what the kids like these days, right?). If you just want to enjoy a movie and have fond memories of any kind of giant creature or robot, whether it's Godzilla, Voltron, or King Kong, you should absolutely love this film. Del Toro set out to make an enjoyable monster movie that would make us all feel like kids again, and this absolutely did it for me. I haven't had more fun at the movies this year! It may not be the "best" movie of the year, but I feel that five years from now, it's probably one of the movies I'll still be watching and talking about with friends. Plus, after I left the theater, all I wanted to do was make robot noises and wrestle my dogs, pretending they were Kaiju. I loved this movie. I went with an EPIC, best non Superhero blockbuster in a long long time! Every member of a diverse cast of characters was developed and then payed off with fresh non repetitive action and it all took place with in the context of an original premise! Best movie of 2013 so far! Kaiju homeworld at the end were underwhelming, especially when compared with the wonderful creatures del Toro has given us in other films.